Help Ted to collect all wooden blocks! 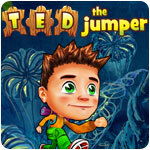 Help Ted to collect all wooden blocks on the field by jumping on them in a colorful puzzle game. Ted can jump forward, left or right, but cannot jump back. Be careful not to lose your jumping ability while some blocks are still on the field! 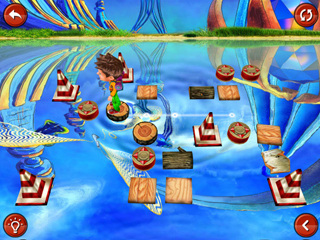 Avoid obstacles and use special block types to complete levels! Travel through four beautiful worlds and experience the relaxing ambiance of cool water ripple effects, peaceful sounds and music. 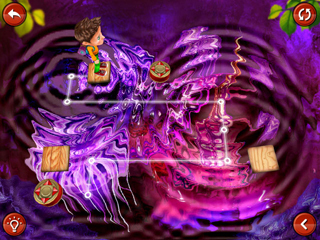 The puzzles look simple, but can be very challenging and addictive! You can easily spend 2-5 minutes to solve just one of these complex puzzles.